I got my dogs a red rubber ball. It glows in the dark so we can play at night. 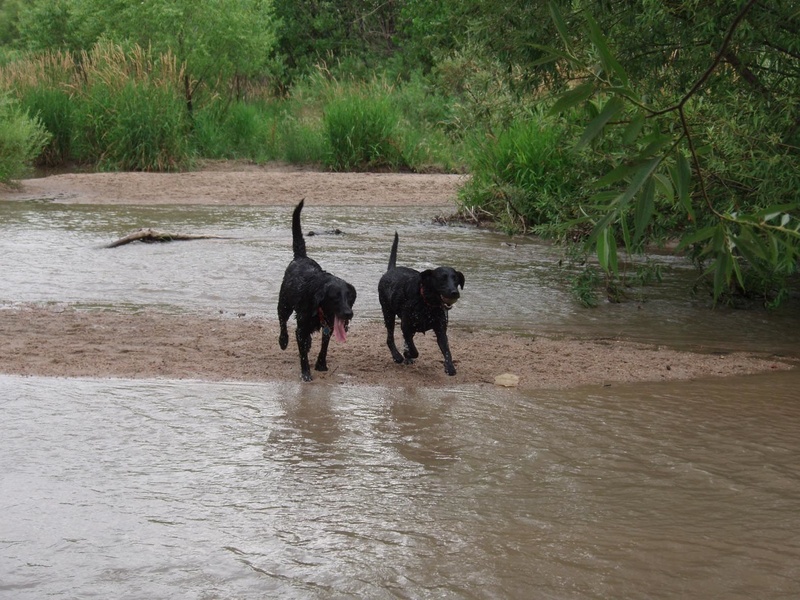 My dogs are Labs, and they love to retrieve. They think this ball is the best thing ever. They are really focused and they know what they want. It doesn’t take much to make them happy. Watching them play is the best example I know of something that is straight, honest and true. It’s pure joy. You don’t need to wonder about their motive, or if they are trying to sell you a bill of goods you don’t really need. I thought about this after a rather unpleasant experience with a high profile Denver plumbing company. This company prides itself on customer service and goes above and beyond what other companies might do in that area. They email you nice profiles about their “master plumbers” and they are courteous and professional when they show up. The problems started when they began to put the pressure on (no pun intended) to convince me to do a very expensive repair I didn’t think we needed. They implied, if not threatened, that if we didn’t do this in the next few days we’d be swimming in sewage. Not a pretty picture. So sign here and pay up or else. As I said, this company wants to be perceived as a reputable business. But ethics are more than just courtesy and a nice website. You can’t just say you are ethical. You actually have to live it and believe it and deliver it. I understand the sales process, but you can’t turn a new customer into a loyal customer by literally scaring the crap out of them. Turns out things have been just fine since I decided to get a few other opinions. It wasn’t quite as urgent as it sounded. So I will never call that company again or refer them to anyone else. Business ethics are simple. It’s not complicated. There is a right way and a wrong way to treat people and you just need to decide which way you want to go. Then you need to base your business decisions on that ethical direction. Your reputation will follow. My dogs are not confused about ethics. They know what is right and what they want. They know what is pure and they can smell a phony line of crap a mile away. We can all learn a valuable lesson from watching them play. We all have to choose what sort of reputation we want. As Dylan said, we need to know our song well before we start singing. C'mon, Jon. Name names. Which plumbing company should I avoid?